Need help filing your taxes? 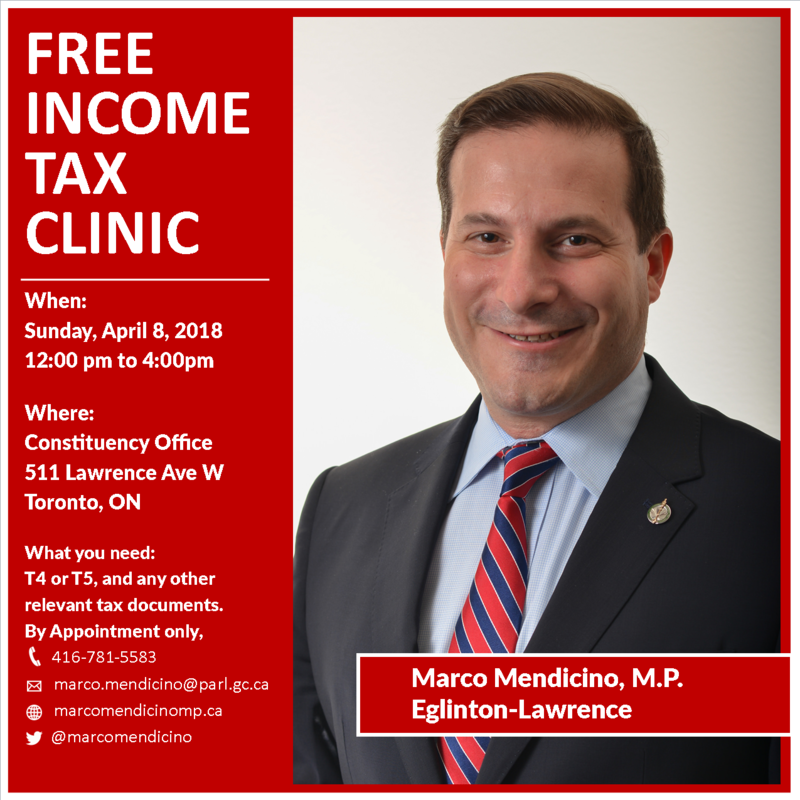 Make an appointment with constituency office for a Free Income Tax Clinic on Sunday, April 8th from 12:00 to 4:30pm. Please bring your T4 or T5, and any other relevant tax documents. Clinic is by appointment only. Please contact our office if you have any questions.